I love wandering along the streets of Italy during siesta time when things are generally quiet and you can appreciate the architecture, although admittedly without the bustle of ‘life’ and with shutters down! 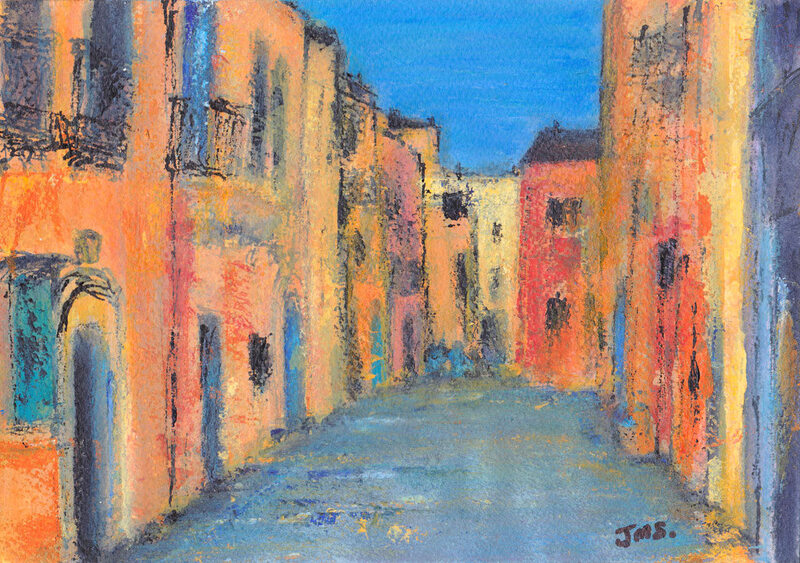 This painting is loosely based on a stay in Taormina in Sicily. I have taken a few liberties with the colours of the buildings, and I suspect the street wasn’t quite as deserted as this!